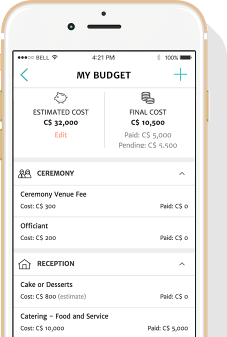 Control all of your expenses the easy way and avoid last minute surprises in your wedding budget. 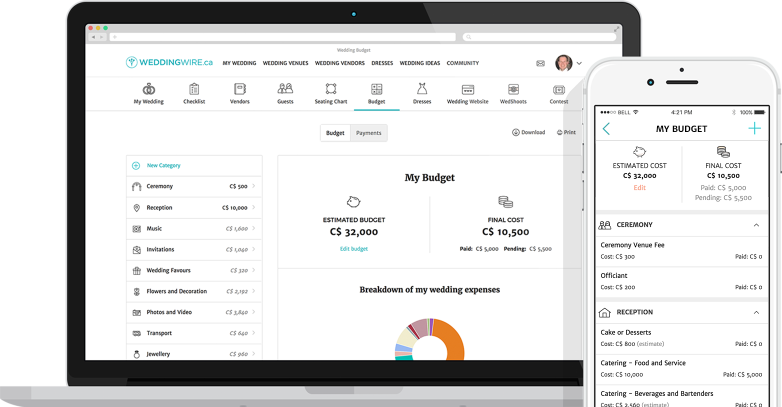 With the WeddingWire Budget you can say goodbye to the budget stress - customize the numbers, track your spending, schedule payments and more. We'll automatically distribute amounts based on your total wedding budget, then you can customize and create new categories as needed. 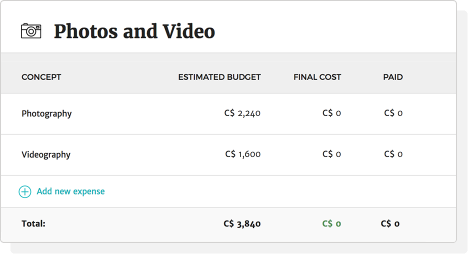 Monitor your costs and view a breakdown of your wedding spend by category. We know you don't have any time to waste, so plan while on the go with the WeddingWire app. Wedding planning has never been easier.